By Dr. Art Leader Co-founder of the Ottawa Fertility Centre, and a board member of the Ontario infertility patient group Conceivable Dreams. December 21, 2016 marks the first anniversary of the launch of the Ontario Fertility Program. Designed to improve access to assisted reproduction technologies for the one in six Ontarians living with infertility, the program contributes to the medical costs required for procedures such as intrauterine insemination (IUI), fertility preservation (FP) and in vitro fertilization (IVF). Now, one year later, those of us who administer the program are taking stock of how things are going and what, if any, changes should be considered going forward. Let's look at the good, the bad and the beautiful. 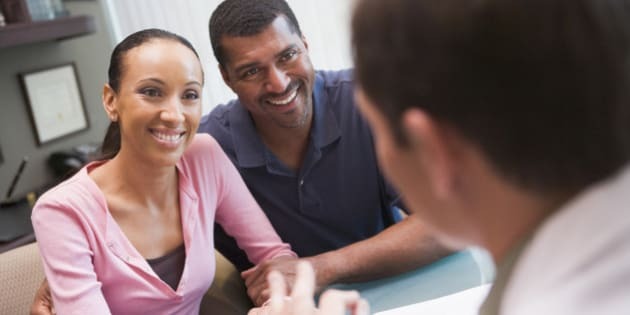 The most pronounced benefit of the program is that one cycle of IVF (which costs on average $10,000) is available to all residents who qualify. Now thousands of patients who may not have been able to afford treatment have access to this important procedure. The hope with this funding is that younger patients who are most likely to achieve a pregnancy with treatment (but often do not yet have the financial resources to pursue it) will have access to care at an earlier time of their life. With funding, they and other patients will be less likely to pursue repetitive, less successful fertility treatments purely because of finances. Ontario's single embryo transfer policy where one embryo (rather than two or three) is placed in the uterus, reduces the chance of multiples (twins, triplets, etc. ), resulting in safer pregnancies for both mom and baby. This requirement offers a balanced approach of providing access to high tech fertility care with the ideal outcome of a single healthy full term infant. Additionally, the program's holistic approach to funding ensures all embryos created are utilized (any extra good quality embryos are frozen for future transfers) which will likely provide very reasonable cumulative pregnancy rates from these single funded cycles. Under the Ontario Fertility Program, fertility preservation (the freezing of eggs or sperm) is now fully funded. This is particularly great news for the thousands of young Ontarians who each year face the diagnosis of cancer and the risk of sterility after cancer treatment. Even more-so than IVF, fertility preservation was well beyond the financial means of most young women and young men; funding has thus lifted a huge emotional burden from their shoulders, as well as given them hope that when they are cancer free, they can have children. As is to be expected with any new program, the pent-up demand for funded IVF has resulted in waitlists of about one year across Ontario's participating clinics. While many of these lists have leveled out since the program launched, next year will be the true test to determine if 5,000 funded IVF cycles is sufficient for Ontario. A questionable upper age limit? With an upper age limit of 42, Ontario's Fertility Program enables women at an advanced reproductive age, who otherwise would likely not pursue treatment due to the very low chance of pregnancy, to pursue a funded IVF cycle. As was the case with Quebec's fertility program (which did not place an age limit for treatment and was scaled back significantly after costs ballooned), these cycles may not prove to be the best use of a limited and publicly funded resource. As data accumulates, it is our recommendation that the livebirth rate of the program's first year be used to reevaluate eligibility criteria. The province doesn't provide funding for medicines outside of hospitals (other than for seniors and those in need) and fertility medications are not currently covered under the Ontario Fertility Program. With the average cost of drugs for an IVF treatment between $2,000 and $4,000, drug costs continue to be a financial barrier for many patients. With this in mind, insurance companies and employers should be strongly encouraged to cover the cost of fertility medications. This program has given hope to thousands of Ontarians who had given up on the idea of having a baby. With the launch of the program less than a year ago, only a select group will actually have a bundle of joy to celebrate with this holiday season but many others are pregnant or working towards their dream of a family. It cannot be overstated that the birth of a healthy child is a life changing and incomparable experience for those who could otherwise only dream of this outcome. Their dreams could soon be a reality thanks to the Ontario Fertility Program.